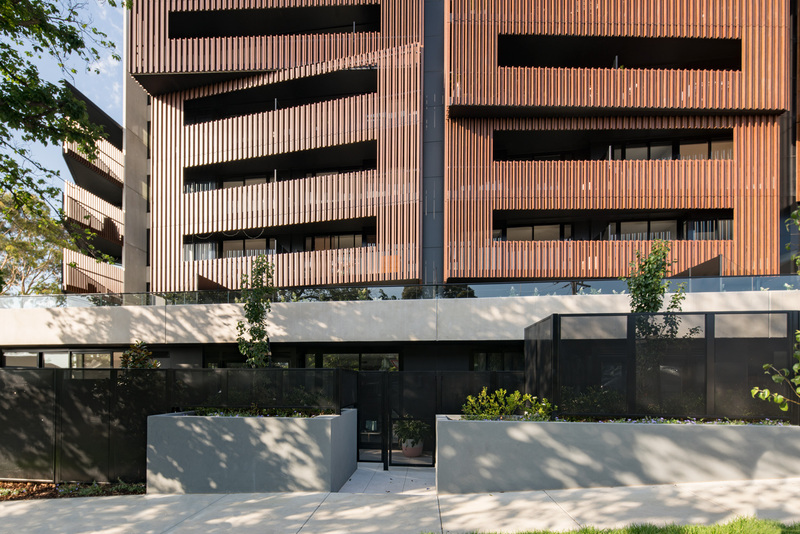 Hayball’s scheme for an apartment development in Melbourne’s leafy east is a finely crafted architectural and urban contribution, and the first of this scale in the established neighbourhood. 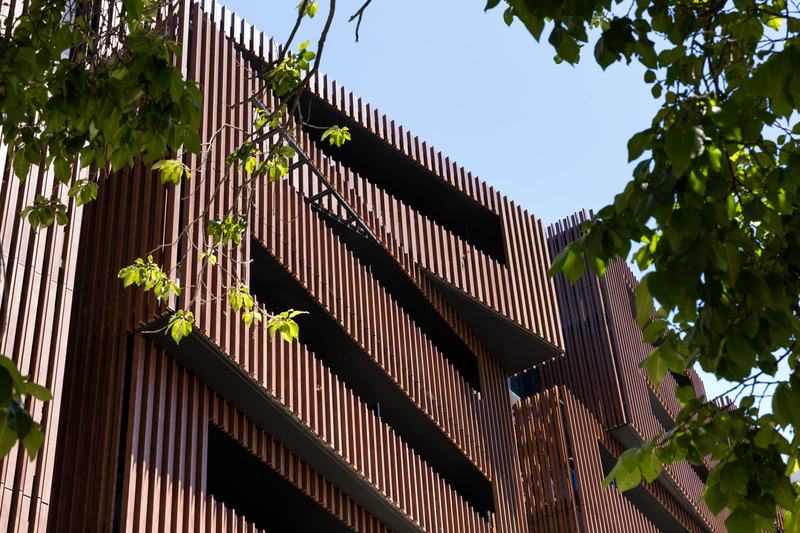 The project signifies our continuing relationship with the developer and our shared values of good apartment living that supports community development both within the building and the wider context. 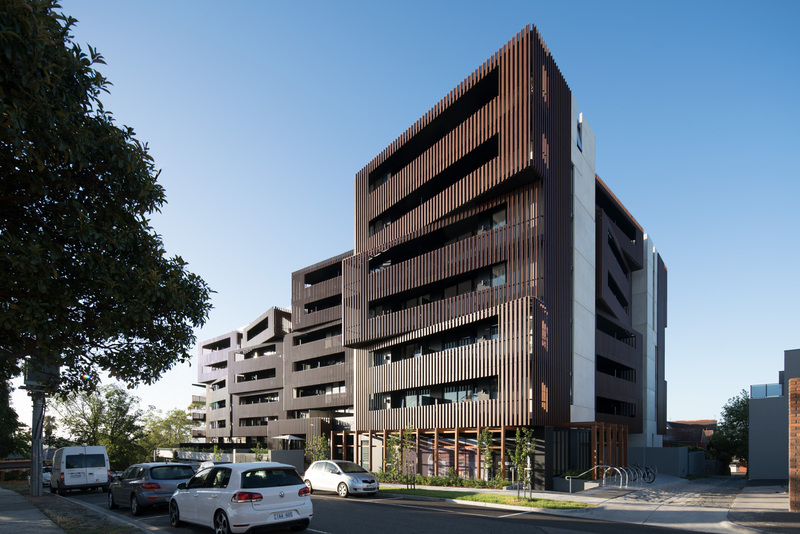 Creating an important urban link from the railway station to a shopping precinct, Evergreen’s architectural form provides active frontages to invigorate the public realm experience, and a retail tenancy at ground level shares a landscaped forecourt with the entry lobby, inviting pedestrians in. 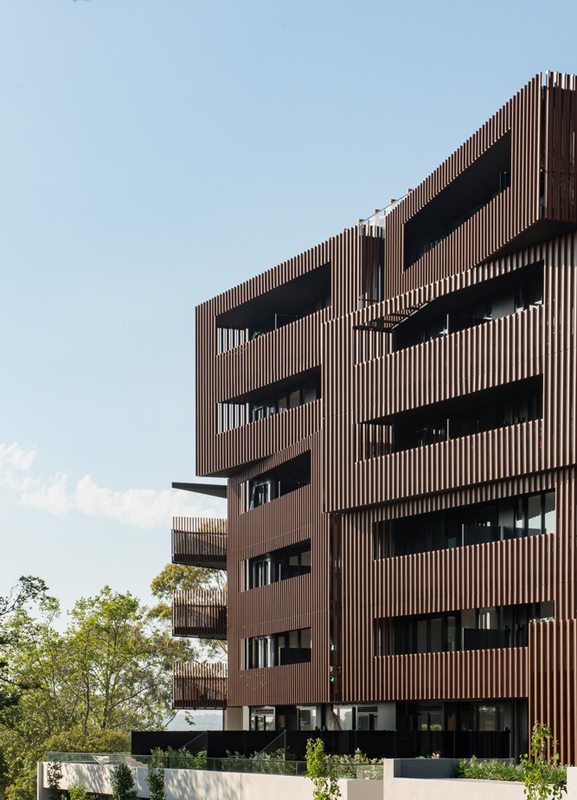 Compositionally, apartment terraces are grouped into an assembly of alternating ‘stackable’ timber boxes along the façade, balancing residential outlook with privacy. 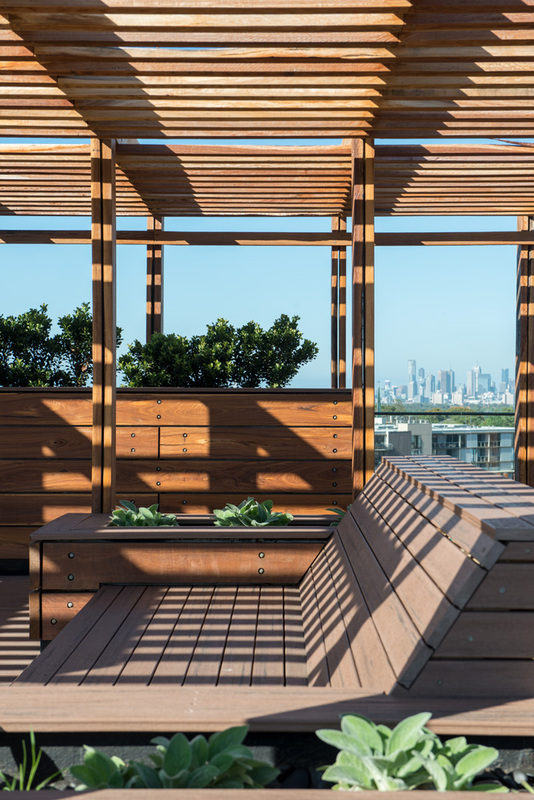 Designed to attract owner occupiers, 163 apartments provide a low maintenance apartment lifestyle with a ‘house’ feel, across a mix of apartment types and configurations. 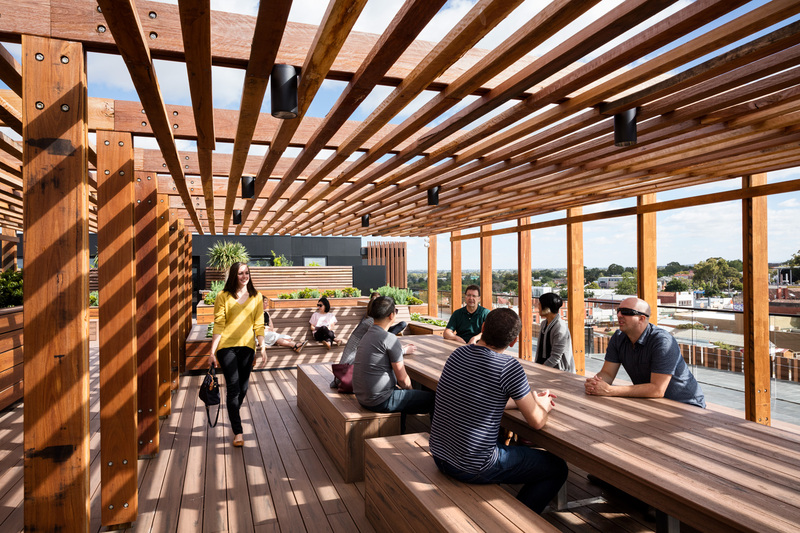 With impressive views to both the city and the mountain ranges to the east, and a variety of intimate and group settings, the communal rooftop garden provides a tranquil haven and opportunities for social connection.